A student’s SAT score has a direct impact on his or her college acceptance—and that’s why Grade Potential offers SAT tutoring catered to you. We work with students to provide adequate preparation not just for test questions, but also for critical test-taking strategies. With our help, you’re empowered to do your best and reach your potential on test day. At Grade Potential, we know that no two students are exactly alike—so no tutoring should be either! Our SAT prep tutors customize our tutoring to the specific students we work with, in order to cater to specific personalities and learning styles. What’s more, we work hard to make the right connections between tutors and students so there’s a good rapport that makes learning approachable and enjoyable. Grade Potential’s tutors are experts in SAT test prep. 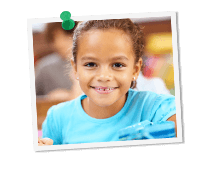 They work with students to provide the tools that create confidence in testing, through practice tests, homework plans and consistent help and guidance. By working with an SAT tutor, you (or your child) gain the support that can make a significant difference when you take the SAT.